You look great, have you lost weight? I’m so fat. I shouldn’t eat that. I don’t think of you as fat. Have you seen how much weight she’s gained? You have such a pretty face, though. Sound familiar? Probably, given how pervasive this kind of body-based talk is. Fat talk, as it’s commonly called, involves critical conversations about one’s own and other’s bodies or eating behaviors. Conversations might be about fears of becoming or looking fat, exercise habits, or comparing one’s eating to others. Part of why thinking about this talk is so important is that while it occurs on an individual level, it frequently exists within relationships, between friends, family, co-workers, and even strangers. Engaging in fat talk is a way to indicate that you are concerned about your appearance because cultural health and beauty standards (i.e. the thin ideal) dictate that you “should” be. I can relate to this both personally and professionally. Personally, I used to deal with my own body insecurity by commenting on it before others, in my mind, had the chance. I also witness fat talk in my interpersonal circles on a frequent basis. I remember attending an ice cream social as part of a work function where someone commented that it was good that we had gotten physical exertion earlier in the day because now we “deserved” ice cream. Awareness about these instances and the frequency with which these conversations occur is one of the first steps toward being able to change and challenge the dialogue. As a fat person, I am struck by the amount of fat talk that occurs around with me with no apparent regard for how I might react to having fat bodies put down when I am there. When people talk negatively about fat bodies, I wonder how they must perceive me. Making disparaging comments about being fat or complimenting weight loss is unfortunately quite common. Although it is seen as a way for people, especially women, to build connection over body dissatisfaction, it is, in fact, psychosocially damaging. Therefore it is so important not to become desensitized to these conversations. Fat talk is insidious. Fat talk is stigmatizing. Fat talk exemplifies what is known as a microaggression. “You’re not fat- you’re beautiful.” Equates attractiveness with the thin ideal. Sends the message that fat and beauty are mutually exclusive. Bashes fat as a descriptor and makes it difficult for someone to own fatness as a part of their identity without derogation. “I’m not eating that- I don’t want to get fat.” Makes eating a moral choice- you’re good or bad if you eat certain foods. Equates eating certain food with getting fat, or the idea that if you just act “right” you can control your weight. This isn’t the case for many, especially considering the role of genetics and one’s individual fat set point in their body. Research shows fat people do not eat more compared to anyone else. “You look amazing- you’ve lost weight.” Reinforces the thin ideal. Correlates worth with appearance- but we are more than our bodies. Reinforces the body as an object as well as fear of fat. Carries the assumption that losing weight is ideal, but what if someone has lost weight due to having a health issue? Complimenting weight loss or criticizing weight gain carry assumptions regarding weight and health that aren’t accurate. I also wonder how fat talk differentially impacts individuals based on the intersection of their identities. Personally, I’m still working on how to respond to fat talk when it happens around me. I attempt to take back the word fat and use it as a descriptor to help decrease its power. I try to share my experience as a fat person, for instance having difficulty finding plus-size maternity pants, without shame and with voice that my experience matters. During this year’s Association for Women in Psychology conference, presenters Jennifer Henretty, Ph.D. and Jamie Atkins, R.D. discussed an important statement to advocate for size acceptance and stand up against weight stigma: “I’m for body acceptance.” What a powerful way to respond to fat talk! In her workbook on improving body image, Taylor recommends three ways to address fat talk: confront the talk and discuss how it makes you feel, decline participation in the conversation, or change the subject if the topic comes up. During body image workshops, I also utilize videos from Tri Delta that discuss implementing Fat Talk Free Week across college campuses. Decreasing fat talk creates space to own your true feelings. To not make excuses about your size or about eating. To offer yourself compassion and acceptance rather than eliciting this from others after you criticize yourself with fat talk. To challenge underlying assumptions about fat and health. To find healthier ways to connect to others. To stop derogating fat bodies. Decreasing fat talk is an act of self-care as well as social awareness. Hurtful and stigmatizing messages underlie fat talk and the perpetuation of fat talk is a form of size discrimination. Ashley Kasardo is a psychologist at West Virginia University’s Carruth Center. 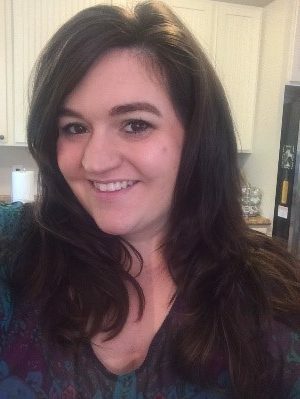 She is a body acceptance advocate and enjoys facilitating trainings and workshops with college students to improve body compassion and wellness. She recently co-authored a book chapter, “From Fat Shaming to Size Acceptance: Challenging the Medical Management of Fat Women,” found in the The Wrong Prescription for Women: How Medicine and Media Create a “Need” for Treatments, Drugs, and Surgery (McHugh & Chrisler, 2015). She can be contacted by emailing ashley.kasardo@mail.wvu.edu.